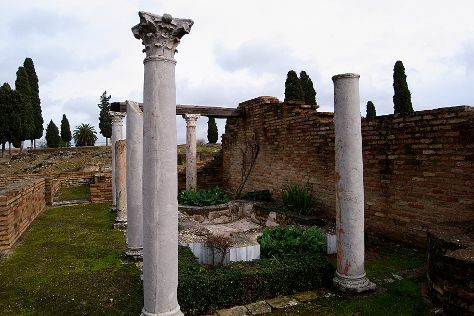 Kick off your visit on the 4th (Sun): take an in-depth tour of Museo Arqueologico, get some thrills out on the water with a waterskiing or jet-skiing adventure, and then explore the historical opulence of Castillo de Almodovar del Rio. Here are some ideas for day two: steep yourself in history at La Casa Andalusí, then take in the exciting artwork at Sala el Potro, and then steep yourself in history at Cave of Pileta. To see ratings, where to stay, traveler tips, and other tourist information, use the Cordoba travel itinerary creator. Madrid to Cordoba is an approximately 2-hour train ride. You can also drive; or do a combination of train, flight, and bus. While traveling from Madrid, expect somewhat warmer days and about the same nights in Cordoba, ranging from highs of 39°C to lows of 19°C. Finish up your sightseeing early on the 6th (Tue) so you can go by car to Granada. 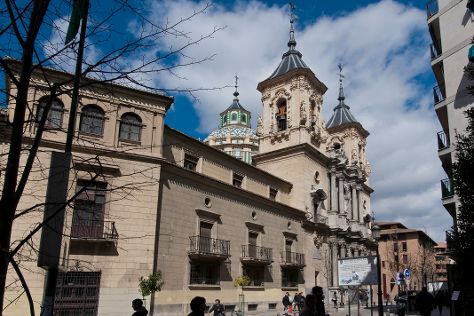 Kick off your visit on the 6th (Tue): contemplate the long history of La Madraza, then get curious at Science Park (Parque de las Ciencias), then take in the architecture and atmosphere at Basílica de San Juan de Dios, and finally wander the streets of Sacromonte. Here are some ideas for day two: explore the historical opulence of Fortaleza de la Mota, then explore the stunning scenery at Los Cahorros, and then take in the spiritual surroundings of Monastery of San Jerónimo de Granada. For more things to do, ratings, where to stay, and more tourist information, go to the Granada itinerary planner. You can drive from Cordoba to Granada in 2.5 hours. Alternatively, you can take a train; or take a bus. Traveling from Cordoba in June, expect nights in Granada to be about the same, around 17°C, while days are a bit cooler, around 33°C. Wrap up your sightseeing on the 8th (Thu) to allow time to drive to Malaga. Kick off your visit on the 8th (Thu): kick back and relax at Playa La Carihuela and then enjoy the sand and surf at Playa El Bajondillo. On your second day here, get to know the fascinating history of Avenida del Mar, then kick back and relax at Puerto Cabopino Beach and Marina, and then step into the grandiose world of Multiaventura Castillo Sohail UTE. To find reviews, ratings, traveler tips, and other tourist information, use the Malaga travel itinerary creator. Traveling by car from Granada to Malaga takes 1.5 hours. Alternatively, you can drive; or take a bus. 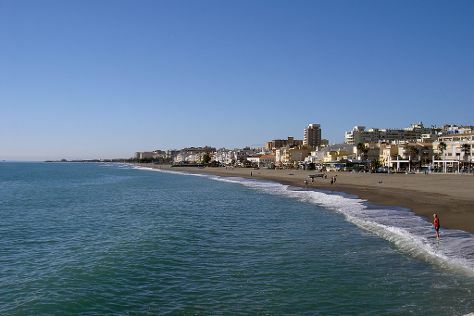 Expect somewhat warmer evenings in Malaga when traveling from Granada in June, with lows around 21°C. 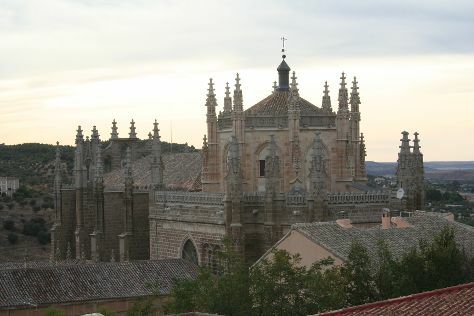 Finish up your sightseeing early on the 10th (Sat) so you can go by car to Seville. Kick off your visit on the 10th (Sat): appreciate the extensive heritage of Plaza del Triunfo, examine the collection at Hospital de los Venerables, delve into the distant past at Archaeological Ensemble of Italica, then snap pictures at Puente de Isabel II (Puente de Triana), and finally contemplate the long history of Real Fabrica de Tabacos. On the 11th (Sun), you'll have a packed day of sightseeing: contemplate the long history of Palace of the Countess of Lebrija, cross one thing off your bucket list with a skydiving experience, and then contemplate the long history of Plaza de Espana. To see traveler tips, maps, more things to do, and other tourist information, use the Seville itinerary builder. You can drive from Malaga to Seville in 2.5 hours. Other options are to take a train; or take a bus. In June in Seville, expect temperatures between 35°C during the day and 19°C at night. Wrap up your sightseeing on the 12th (Mon) early enough to take a train to Madrid. Start off your visit on the 12th (Mon): take in the architecture and atmosphere at Iglesia de San Ildefonso Jesuitas, then contemplate in the serene atmosphere at Monasterio de San Juan de los Reyes, then make a trip to Puerta de Bisagra, and finally snap pictures at San Martin Bridge. On your second day here, hike along Ruta de Molino a Molino and then hike along Ruta los Oficios de la Vida. To find maps, other places to visit, traveler tips, and more tourist information, use the Madrid trip itinerary maker. Traveling by train from Seville to Madrid takes 3 hours. Alternatively, you can do a combination of bus, flight, and train; or drive. In June, daily temperatures in Madrid can reach 34°C, while at night they dip to 19°C. On the 14th (Wed), wrap the sightseeing up by early afternoon so you can travel back home.